2013 Charango Conductor at Beck's One Vision, Fox Studios. 2012 Participation at Lovesick film with actor Matt LeBlanc and Ali Larter. 2011 Opening act for Reily, at the Toyota Speedway, Irwindale, CA. 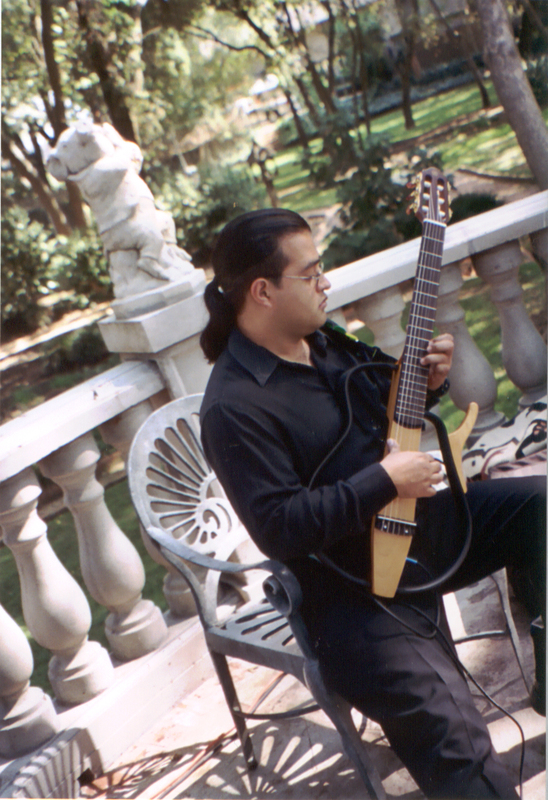 2010- Current: Mariachi performing artist. 2005 - Current: Choral Director at Saint Athanasius Church, Long Beach CA. 2003 - Current: Music Director Epiphany Church at Lincoln Heights CA. 2004 Opening act for Alejandro Fernandez at Hilton, Beverly Hills CA. 2004 Musician-Actor for The Latino Theater Company, La Virgen de Guadalupe, Dios Inantzin at the Cathedral of Our Lady of The Angeles, Under the direction of José Luis Valenzuela. 2003 Closing act for Alianza Latino Caucus on HIV/AIDS with activist Oscar de la Hoya. Hyatt Regency Hotel. 1996-2003 VDLA records performing artist. USA and St. Thomas Caribbean tour, including AK, MO, WA, OR, NV, AZ, MN, NE, CO, FL, IL, KS, TX, NM, and OK State Fairs. 1996 a Music creator for Sebastian’s Little Green Creative Arts Project, International Children’s Campaign, at Woodland Hills CA. 1995 Keyboard player at Televisa, México; Sam Gordobic’s band. 1995 Music Director of Hispanic Music Workshops at México DF. 1993 Member of Society of Concerts, investigations and Musical development AC, México. 1992-1994 Martell Bass Area Coordinator. 1992 Music Professor at Ameyalli Elementary School. 1991 Performing services for EXIS records for Sergio Andrade and Gloria Trevi Music Co.
1989 Third Maestre Percussionist Naval Symphonic Band, Mayor official, Navy Secretary under Captain Cesar Amora orders. 1988-1991 Music Professor at Vista Hermosa Catholic High School. 1987 Theatrical Pastorela Representation, Televisa. TV channel 2 at Claustro of Sor Juana Inez de la Cruz. 1986-1991 Choral Director at Uganda Martyrs Catholic Capella. 2002 Andes Forever, VDLA records. 2001 Dreams, Rosalía León. Huayucaltia records. 1999 Christmas at the Andes. Independent records. En mi, José Arciniegas vocal. Arciniegas records. 1995 Imaginaria, Mexican jazz, Area Productions. 1993-1994 Radio Laser FM 105.7 Bass Cliniques, co-host. Smoke on the water program. Composer for Short film “the exchange” 2004. Brent Shafer Director. Long Beach CA.